This guest post is being brought to you by the amazing staff at Education.com. 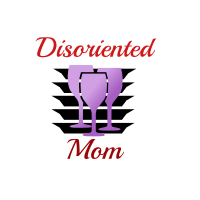 Let me start by saying that I was beyond honored when Jessica reached out to me inquiring about posting guest content on the DisorientedMom site. I researched the site and am very impressed by what I see. They have a team of experts that work with teachers and curriculum developers to create educational activities and a vast number of resources for kids. The particular project being shown here is a science experiment, which my daughter happens to love. In school, science experiments are one of the few things she looks forward to, so her and I will be doing this one together as well. The project is listed below, and can be found on the Education.com website directly at https://www.education.com/resources/angles/ . Can White Light Be Separated? Find out whether white light can be separated into different colors. This will also simulate how natural rainbows are made. For more fun with science, go to Education.com! Why does a prism create a rainbow from white light? How do you think a natural rainbow is created? The visible spectrum is the portion of the electromagnetic spectrum that can be seen by the human eye. It consists of seven spectral colors: red, orange, yellow, green, cyan/indigo, blue, and violet. These colors are what you observe when you see a rainbow. These colors each have different frequencies and wavelengths; red having the longest wavelength and violet having the shortest. Punch a hole in the cardboard. Place the prism on a flat surface. This experiment will look best when done in the dark or under dim lights. 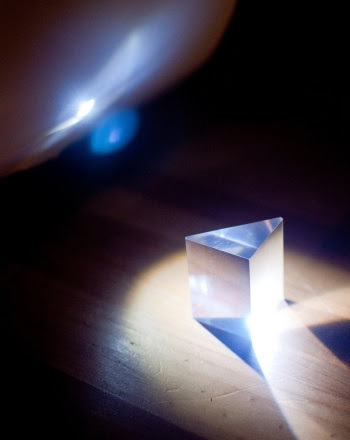 Turn on your flashlight and shine it on the cardboard through the hole and direct it at the prism. What do you see? Now place a second prism in front, but at a slightly different angle than the first one. What happens? Warning is hereby given that not all Project Ideas are appropriate for all individuals or in all circumstances. Implementation of any Science Project Idea should be undertaken only in appropriate settings and with appropriate parental or other supervision. Reading and following the safety precautions of all materials used in a project is the sole responsibility of each individual. For further information, consult your state’s handbook of Science Safety. I’m really excited to try it and both honored and humbled to get that reach out. Very inspiring! The information are very interesting ! even I also didn’t know that white color can be separated ! Neither did I! Pretty cool and we’ll be doing this one! Thank you, I will be doing this soon!! Thanks, Roger! I appreciate you stopping by! That’s great! Be sure and let me know how he likes it! Thanks for sharing the experiment. I’ll be doing this with my son. An experiment I did in grade school, long forgotten…thanks for reminding this mom! I never did, but excited to try it! This will be an awesome project for my daughter! Thanks! I remember doing that in school. Thank you for stopping by to check it out! I remember doing this science experiment at school thanks for reminding me I will be definitely doing this with my son. Science experiment is always cool, whatever it may be. I don’t really like science as I found it complicated but since my husband is a big “Science lover” I learned to like it. It is complicated, but I always enjoyed the experimenting side to see how it turned out. I couldn’t agree more. Thank you for reading!